Not doing the MKAL? You can still knit this pattern for a small fee. 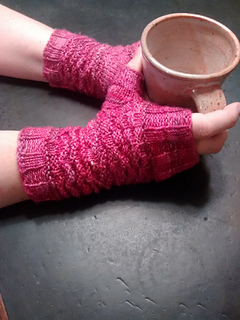 These lovely fingerless mitts work up very quickly and are snugly warm, perfect for dog walking, a drafty office or for hands that stay cold for what ever reason! Pattern is sized for Woman’s Small, Medium and Large and for Men’s Medium. Use size 4 needles for narrower hands and size 5 needles for wider hands. 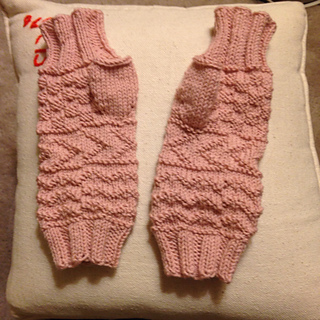 Errata for pattern downloaded before 12/28/14: For the RIGHT mitt only Pattern “C” should say x4, (x5)(x6) thank you to ChristyneR for catching that for me!